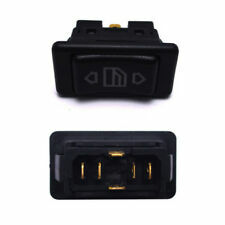 Audi A6 C6 ESP Switch Button. Donor Car: 2006 Audi A6 C6 Avant 2000cc. The New and Used Audi Parts Specialist for all Audi models worldwide. Audi Part Number: 4F0 927 134. It may fit others. 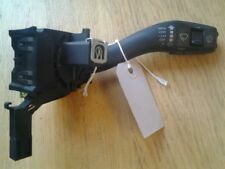 AUDI A3 MK3 8V 2013-ON WIPER INDICATOR STALK ARM. We won’t take any responsibility for the compatibility of parts unless we have explicitly said it will fit. 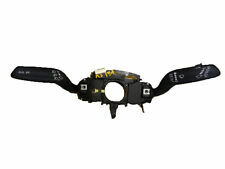 PART NUMBER IN ALL CASES WE STATE THE CONDITION OF OUR PARTS. INDICATOR WIPER STALK UNIT. 2015 AUDI A3 S LINE 3 DOOR. WITH LIGHT WEAR. IN GOOD USED CONDITION AND GOOD WORKING ORDER. UK MAINLAND ONLY . Audi Breakers. FOR YEARS: 2004, 2005, 2006, 2007, 2008, 2009, 2010, 2011, 2012, 2013 (2004). All A/C Compressors must have the A/C system flushed to remove any contaminants and the proper oils and Freon to be used. GENUINE AUDI A3 8V COMPLETE STALK WITH SLIP RING. SO WE CAN TRY TO RESOLVE BEFORE IT GETS TO THAT POINT. Most electronic components require programming after installation. CONDITION AS PER PHOTO. IV / HS / KA / KW / PA / PH / ZE / TR26 / TR27 / BT / IM / GY / JE / BF. Condition is shown on the high quality photos . used part but in working condition can have marks wear and tear can be dirty can consist used oil or other fluids. Please check pictures carefully if there is any small damage or broken bits which do not affect part of being used is marked/highlighted. I do not take responsibility for any damage in installation. 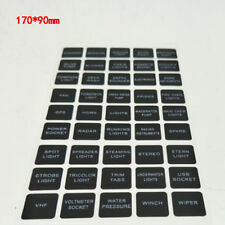 Please check all the pictures Please check all part numbers to make sure that you are buying right part! If you have any questions please feel free to contact. Buying this item you accepted this terms and condition. 3 Way Push Pull Light Switch. Middle Position ~ Side lights. Out Position ~ Side/Main Lights. It should not be altered / tampered with/used. AUDI A3 8V 2013 - ON. REMOVED FROM AUDI A3 8V 2014 1.6 TDI CLHA AUTOMATIC DSG GEARBOX PYS PAINT CODE LX7W. PART NUMBER 8V0 953 521 BM. FITTING SERVICE AVAILABLE - IF THE PART IS FITTED BY US THERE IS 1 MONTH WARRANTY. Donor Car: 2005 Audi A3 8P Sportback 2000cc. The New and Used Audi Parts Specialist for all Audi models worldwide. It may fit others. Donor Car Colour: Bodywork is Akoya Silver LY7H. Interior trim is Black N7C/ MP. PART NUMBER: 8P0927134B. OPENING HOURS Based inWest Yorkshire, Dewsbury our motto is to provide 'Service Excellence as Standard'. Cash on collection is also available. PART NR 8P0927134B. MODEL: A3 8PA SPORTBACK 2.0TDI. MAKE :AUDI. TOP QUALITY AUTO PARTS. Compare part nr to find out it is the right part for your car. GEARBOX:AUTO DSG GEARBOX CODE HFQ. ASK BEFORE YOU BUY IF YOU ARE NOT SURE IT IS THE RIGHT ITEM. 3 Way Push Pull Light Switch. Middle Position ~ Side lights. Out Position ~ Side & Main Lights. Do not over~rate this switch. It should not be altered / tampered with/used. STEERING WHEEL ONE HAND TURNING AID A universal 'third hand' steering wheel knob that will fit just about any steering wheel. Make driving more comfortable, a must have for professional drivers/lorry drivers. Easy Fit Ideal for disability drivers Allow for more comfortable driving position Fits to all steering wheels Handle shaped for easy grip Easy to fit - just simply tighten the nut Ideal for trucks, van, HGV Mini Bus cars, power boats etc. FAST DISPATCH PLEASE NOTE Important notice BEFORE ordering Please DO NOT rely on the compatibility list to make your decision of parts, as cars come with many variations and fitments on the same make and models. Check things like dimensions size and other stated fitment criteria prior to ordering to make sure you get the correct. 1K0927117D / 1K0 927 117 D. Eos 2006 - 2011 & Golf 2005 - 2011 & Jetta 2006 - 2010 & Touran 2007 - 2010. Other Superseded Numbers VIN Number. PART NUMBER: 8V0953521BM. SET OF STALKS. INDICATOR AND WIPER STALKS. REMOVED FROM AN AUDI A3 SLINE (2014). AUDI A3 S-LINE 8V. THIS IS IN GOOD CONDITION AND WORKING ORDER. Original Audi A4 8 K B8. Audi A4 8 K B8 avant 2.0 TDI diesel 4 door LHD. Many more original parts from Audi available. Color / Color: J50 light grey / light grey. • Color code: unknown (blue). EAN Nicht zutreffend. WE ADVISE A RESPRAY MAY BE REQUIRED FOR THIS ITEM! GOOD CONDITION FULLY WORKING. Audi Breakers. All engines & gearboxes will usually be drained of all fluids for carriage. FOR YEARS: 2003, 2004, 2005, 2006, 2007, 2008 (2003). Add to Favourites. Gasket and seals need to be replaced before installation. (Taken From: 2006 AUDI A3 8P 1.9TDI Engine code BKC, BLUE LZ5C, gearbox CQQ, 5door). DISPATCH PARCELS. Used Condition! Have minor mark, dents, scratches. FOR YEARS: 2007, 2008, 2009, 2010, 2011, 2012, 2013, 2014 (2012). Audi Breakers. All engines & gearboxes will usually be drained of all fluids for carriage. Gearboxes must be filled with new oil upon installation. OEM Numbers: 171919521 / 171 919 521. VW Golf 1975-1976. VW Polo/Derby/Vento-IND 1975-1981. VW Rabbit 1975-1976. VW Scirocco 1974-1976. AUDI Audi 50 1975-1978. Our goal is to make your choice easier and save your money. 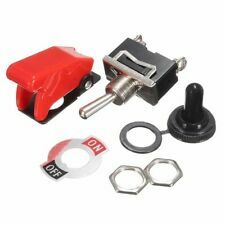 Part number:8P0 927 134 B.
Audi A3 8P ESP Off Button Switch. Donor Car: 2005 Audi A3 8P 2000cc. The New and Used Audi Parts Specialist for all Audi models worldwide. Audi Part Number: 8P0 927 134 C. It may fit others. AUDI 4B0941509C, 4B0941509CB98, 4B0941509D, 4B0941509D5PR, 4B0941509DB98, 4B0941509K, 4B0941509KB98. Function Hazard Light Switch. AUDI A6 (4B2, C5) 2.4 quattro Saloon Petrol 08/2001 01/2005 AWD 30 170 125. =2007 AUDI A4,2.0TDI,COMFORT MODULE,RHD,8E0959433CH. For the AUDI A4. FOR YEARS: 2005, 2006, 2007 (2007). We Do Not Cover Any Labour Costs Involved With Fitting Or Removal Of Any Parts. Engine warranties are only valid if new cam belts/idlers/tensioners are fitted prior to installation - proof will be required in the event of a claim. 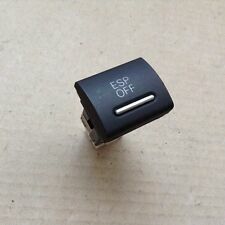 Audi A3 8P ESP Off Button Switch. Donor Car: 2003 Audi A3 8P 2000cc. The New and Used Audi Parts Specialist for all Audi models worldwide. 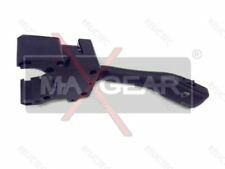 Audi Part Number: 8P0 927 134 B. It may fit others. Audi Breakers. All engines & gearboxes will usually be drained of all fluids for carriage. FOR YEARS: 2003, 2004, 2005, 2006, 2007, 2008, 2009, 2010, 2011, 2012 (2006). Add to Favourites. Gasket and seals need to be replaced before installation. Part Number : 8P0927134B. AUDI A3 8P 2.0 TDI. Donor Car: AUDI A3 8P 2.0 TDI. FRONT ESP SWITCH BUTTON. From 2004 > 2008. Reg : 2004. for Scottish Highland, Northern Ireland. This item has been removed from blueAUDI A3 2.0 TDi (2004). This item would be supplied as pictured. What you see is what you get. We try our best to make sure that you receive the item as you have expected it to be. PART NUMBER: 8P0927134C. 2006 AUDI A3 8P ESP OFF SWITCH. Audi Breakers. All engines & gearboxes will usually be drained of all fluids for carriage. FOR YEARS: 2004, 2005, 2006, 2007, 2008, 2009, 2010, 2011, 2012 (2006). Add to Favourites. Gasket and seals need to be replaced before installation. Skoda Breakers. FOR YEARS: 1998, 1999, 2000, 2001, 2002, 2003, 2004, 2005, 2006, 2007, 2008, 2009, 2010, 2011, 2012, 2013, 2014 (1998). Volkswagen Breakers. Audi Breakers. Seat Breakers. All A/C Compressors must have the A/C system flushed to remove any contaminants and the proper oils and Freon to be used. AUDI 4B0941509C, 4B0941509CB98, 4B0941509D, 4B0941509D5PR, 4B0941509DB98, 4B0941509K, 4B0941509KB98. ÜRO Parts 4B0941509K. Hazard Switch 37783 Febi. Part Number 37783. Function Hazard Light Switch. Colour Black. 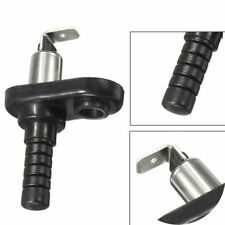 Easy Steer A universal 'third hand' steering wheel knob that will fit just about any steering wheel. Make driving more comfortable, a must have for professional drivers/lorry drivers. Number 8 Pool Ball Design Ideal for disabled drivers Allow for more comfortable driving position Fits to all steering wheels Handle shaped for easy grip Easy to fit - just simply tighten the nut Ideal for trucks, van, cars, power boats etc. FAST DISPATCH PLEASE NOTE Important notice BEFORE ordering Please DO NOT rely on the compatibility list to make your decision of parts, as cars come with many variations and fitments on the same make and models. Check things like dimensions size and other stated fitment criteria prior to ordering to make sure you get the correct part . This item has been removed from a blackAUDI A3 Sport 1.6 Petrol (2003). This item would be supplied as pictured. What you see is what you get. We try our best to make sure that you receive the item as you have expected it to be. Part:ESP Warning switch. Model:A3 5 Door 1.9TDI Engine code BXE 5 Speed gearbox Code JCR Painted Mauritius Blue LC5Z. All our parts are security marked before being dispatched. Warranty Information. IV, HS, KA27-28, KW, PA, PH, ZE, BT, TR and PO. 8P0927134B / 8P0 927 134 B. A3 / S3 2004 - 2013. Collection on all parts is possible during work hours which are VIN Number. OEM Numbers: 321955200 / 321 955 200. AUDI Audi Fox 1973-1976. VW Dasher 1974-1977. VW Passat/Variant/Santana 1974-1977. VW Polo/Derby/Vento-IND 1975-1981. AUDI Audi 50 1975-1978. AUDI Audi 80/90/Avant 1973-1976. Skoda Breakers. FOR YEARS: 1999, 2000, 2001, 2002, 2003, 2004, 2005, 2006, 2007, 2008, 2009, 2010, 2011, 2012, 2013, 2014, 2015 (1999). Volkswagen Breakers. Audi Breakers. Seat Breakers. All A/C Compressors must have the A/C system flushed to remove any contaminants and the proper oils and Freon to be used. This item has been removed from blueAUDI A3 2.0 TDi (2004). This item would be supplied as pictured. What you see is what you get. THIS PART IS GENUINE AND IN GOOD WORKING ORDER. We try our best to make sure that you receive the item as you have expected it to be. 2.0 fsi CODE: AXW. Model A3 Fuel PETROL. Make AUDI Mileage. WE DEAL IN ALL KIND OF VW AUDI SEAT SKODA PARTS. Colour LY7R BLUE. Year 2005 Engine Size. They will be tested before been dispatched and will be in good usable condition ( unless specified).